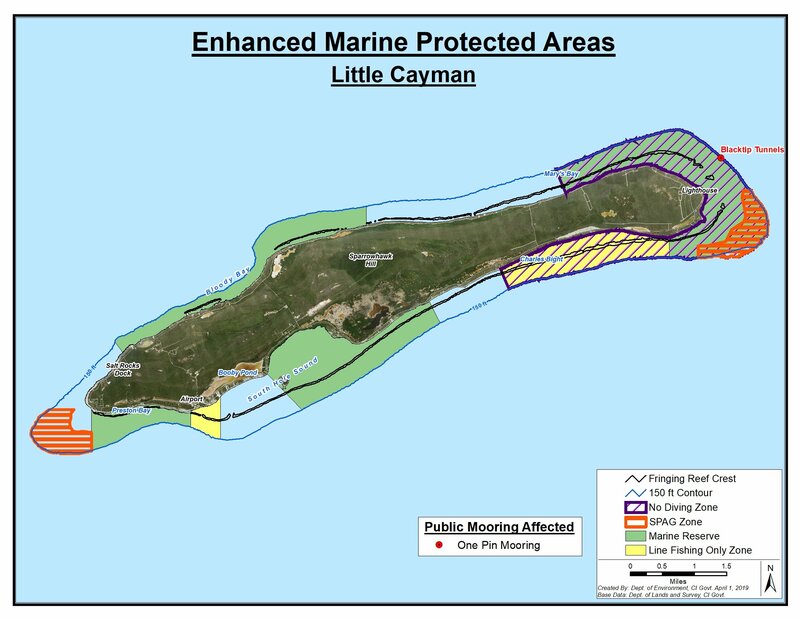 5 April – The Department of Environment (DoE) has received some questions about public moorings that will be closed off under the enhanced marine parks areas. To help answer those questions, our Geographic Information Systems Officer Jeremy Olynik put these maps together identifying the affected moorings. Also, it may be worth noting – as a matter of general interest – that the various zones included on these maps will overlap one another at certain locations. The rules for both types of zones will apply in those areas. 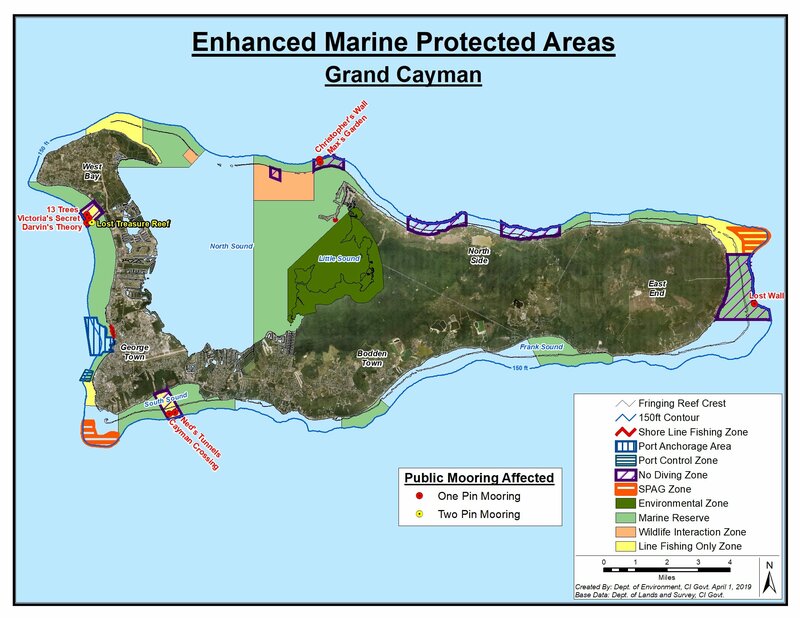 For instance, in East End there is an area that will be both a ‘no diving zone’ and a ‘marine reserve zone’, where both sets of rules will apply.